Dixie is growing and has learned how to sit, stay, come, fetch, lay down. I'd love to also train her to play frisbee, and take some agility training. I wish I had time for a 2nd puppy. 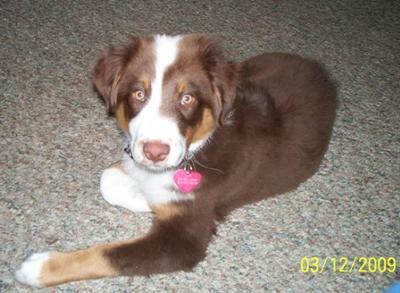 I'd get another Australian Shepard puppy. Please comment below if anyone would like to offer us some information on agility training or other types of training.